FISHING TRAWLER is a vessel with the length of 29.1m, width of 10.3m, height of 5.0m; it combines of a main engine, a bow thruster. The vessel is also equipped with special equipment for fishing, the fish select and classified system, fish preserved compartment according to the highest international standards that can operate in harsh climatic areas. 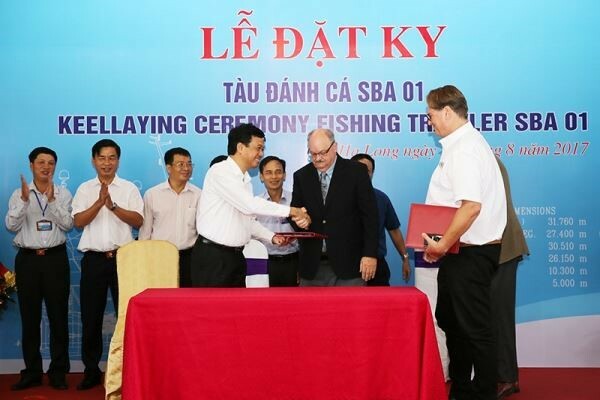 As planned, the Fishing Trawler will be completed and delivered by Halong shipbuilding Company in April 2018. After the ceremony, the company will focus on accelerating the construction progress of the next blocks with highly quality in accordance with the design and registration standards. 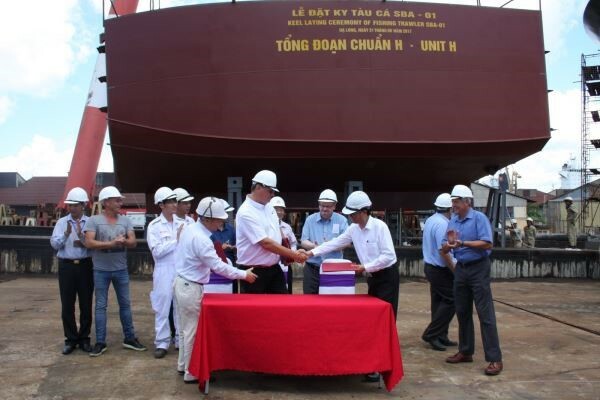 This is also the first export contract of Halong shipbuilding Company with Canadian partner.